For now, and through December, I’m in Taipei as resident artist with Taipei Contemporary Art Center, learning from the pro-democracy protests and 24-day student occupation of Taiwan’s parliament that took place over March-April 2014. 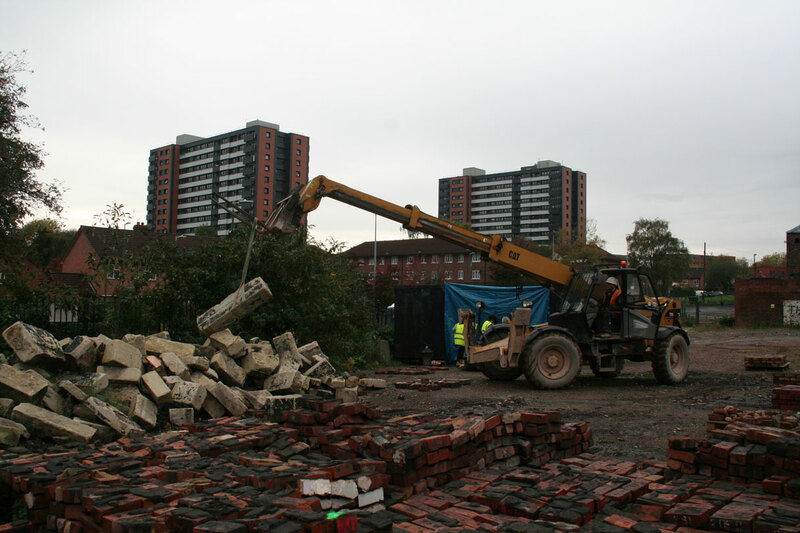 Salford Museum’s LifeTimes Link Winter Issue is out, featuring The Salford Wall. It describes the economic devastation of 1930 in which the building came to be – a devastation deepened for the working class by the policies of National Government. 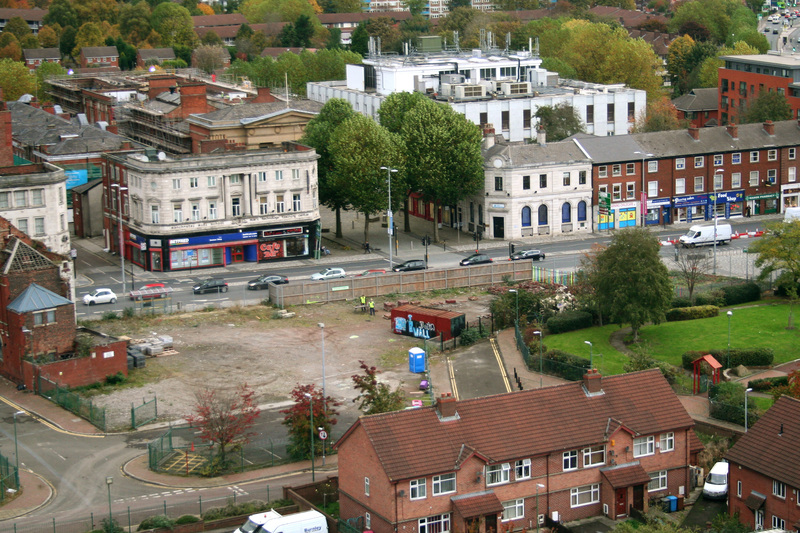 It was borne of the same conditions giving rise to 1931’s Battle of Bexley Square. Amidst an atmosphere of degradation, with suicide the frequent result, the building erected by Royal Liver Friendly Society at 301 Chapel Street was a defiant demonstration, constructed by the strength of a popular and indomitable will. 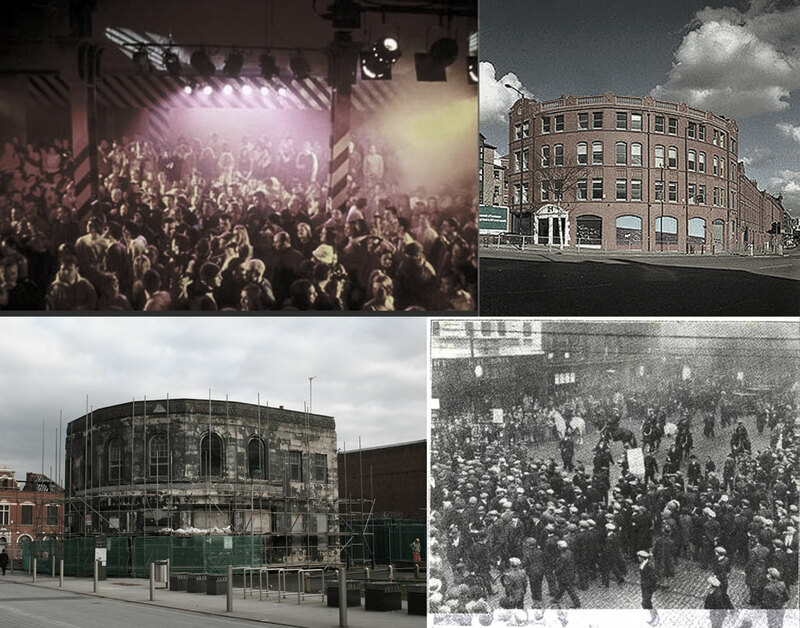 It was a physical and financial structure built by a Northern working class, empowered by an ethos based on mutual care and support. 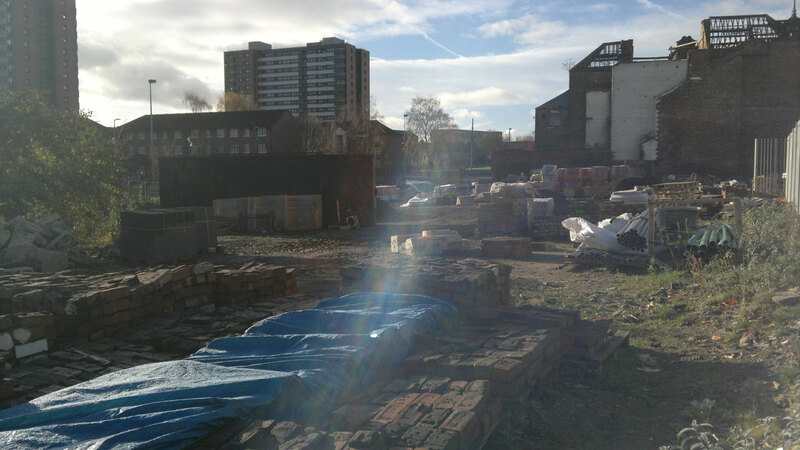 This is the history embedded in The Salford Wall – it is a strength and spirit hoped to be resurrected as it is rebuilt. Aerial view from Jeff Herring’s balcony, Arthur Millwood Court. 23 Oct 2014. 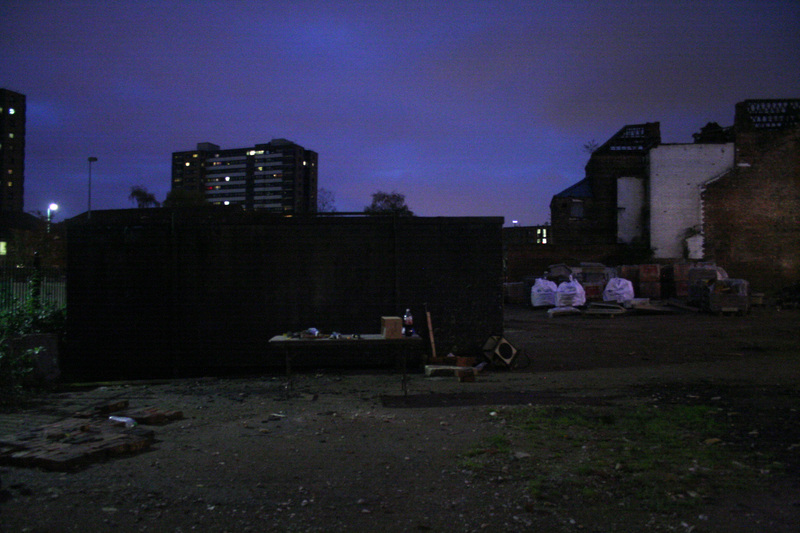 It’s not just history, but also uncertainty that’s embedded in The Salford Wall – its status vis-à-vis the land, how much time it has left. This, alongside funding worries, was at the root of the instability throughout 2014. 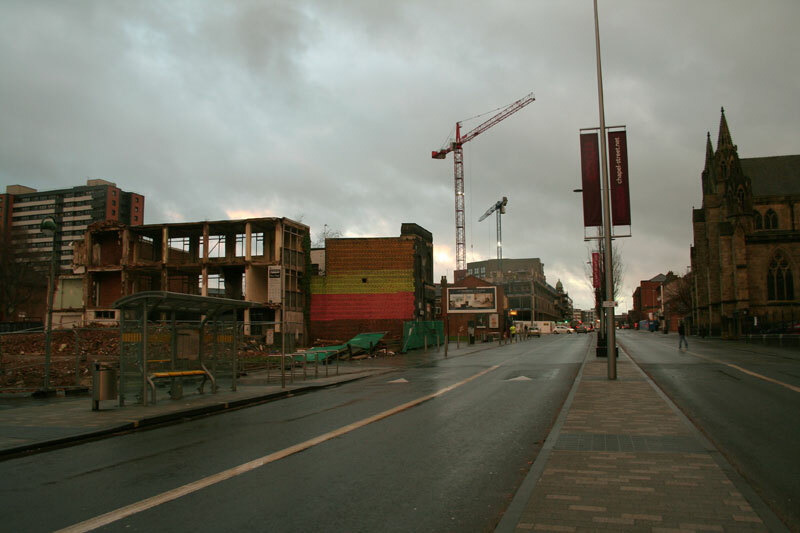 It opened with the anxiety of not knowing when or if the demolition works were going to re-commence. When the call finally came (after 5 months of limbo) it was a sudden case of now. 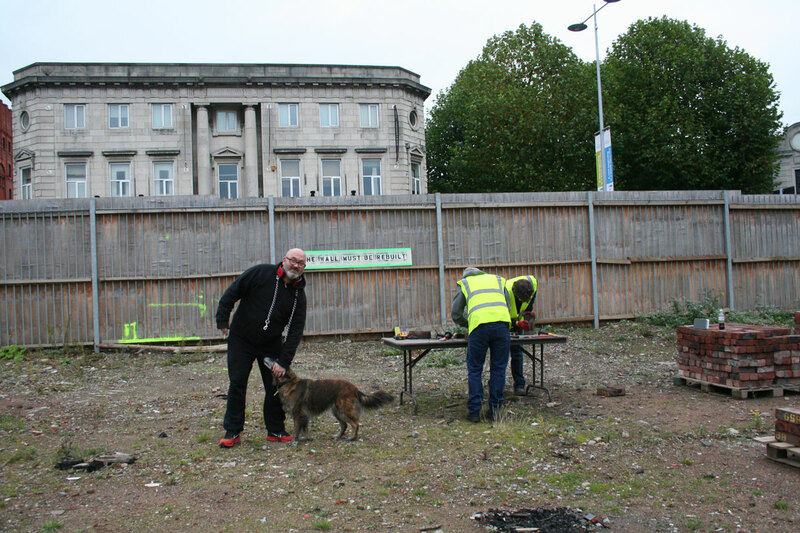 It’s been a constant though ever-changing now ever since, especially now sharing the site with Vimto Gardens’ overflow. 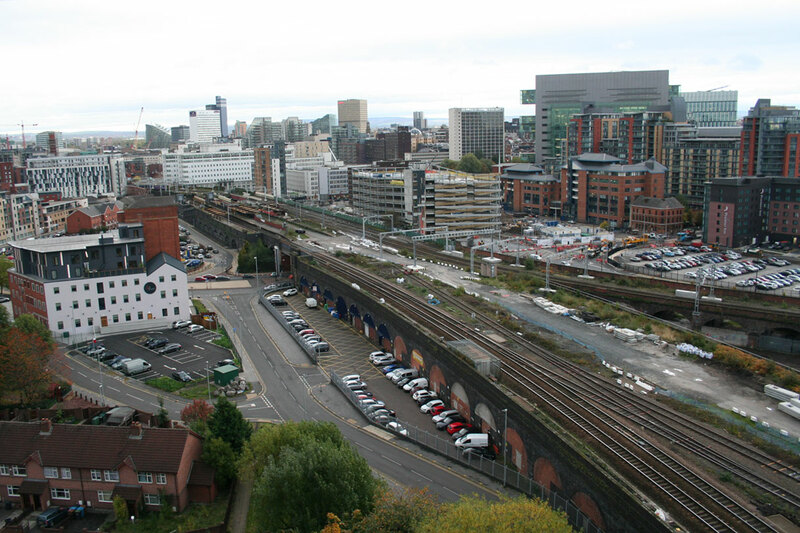 It is however only by this uncertainty that The Salford Wall exists. Flipped around, it isn’t uncertainty but possibility. While these fundamental instabilities are still yet to be resolved, heading into 2015, I’ve a much stronger sense of how to proceed. It’s going to require substantial efforts with fundraising, communications and community organisation. If anyone is up for getting involved (any and all help is more than welcome), please do let me know. In the meantime, I hope to be posting more about the backdrop to all this, the urgency behind why I am fighting so hard to protect a possibility. 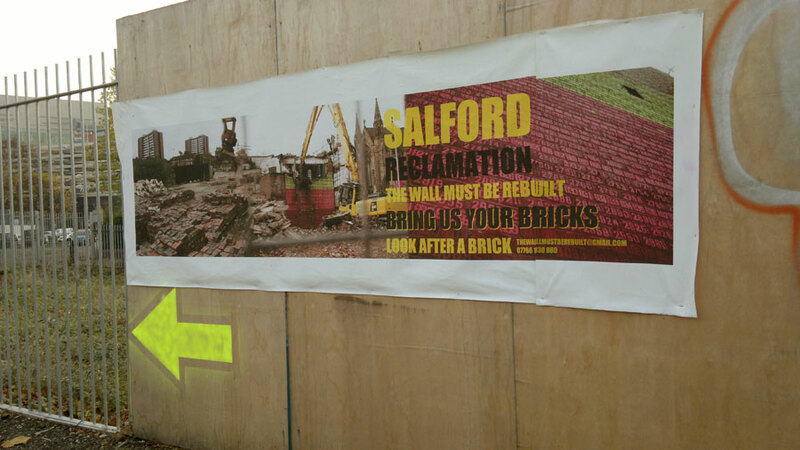 The Salford Wall will be rebuilt.